Edited by Margery Post Abbott; Mary Ellen Chijioke; Pink Dandelion and John W. Oliver Jr. Although relatively few in number-there are only a few hundred thousand members worldwide-the Religious Society of Friends has had an unusually strong impact. Originating in Great Britain in the 17th century, the denomination has since expanded to many other parts of the world while its spiritual influence has reached even further. 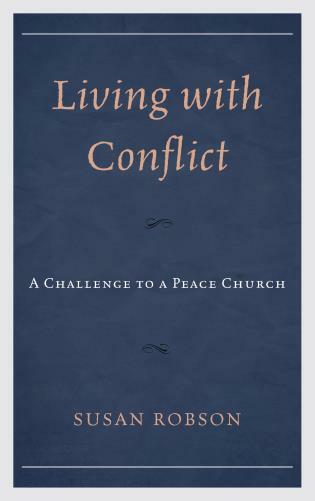 Concepts such as the "inward light" and "friendly persuasion" are familiar well beyond their own circles and others have often heeded the Quakers' call for cooperation and peaceful resolution of problems as the wisest counsel. Margery Post Abbott is a "Released Friend" who writes about Quakerism and travels in the ministry with the support of her Monthly Meeting. Her book, A Certain Kind of Perfection, brings together the writings of evangelical and liberal Quakers from North America, Europe, and Australia. She has published numerous articles and pamphlets about Friends and lectured in America and England. Mary Ellen Chijioke is Director of the Hege Library at Guilford College in North Carolina and has served as curator of the Friends Historical Library at Swarthmore College in Pennsylvania, the academic center of "Hicksite" Quakerism. For many years she wrote the biennial review of recent literature for the journal Quaker History and is currently co-editing Willis R. Hotchkiss's diary. Pink Dandelion is Tutor in Postgraduate Quaker Studies at Woodbrooke College in Birmingham, England, Director of the Centre for Quaker Studies at the University of Sunderland, England, and is an honorary lecturer in its Department of Theology. He is convener of the Quaker Studies Research Association and editor of the journal Quaker Studies. John W. Oliver is Professor Emeritus of the History Department at Malone College in Ohio. He served as clerk/convener for two biennial conferences of Quaker Historians and Archivists, a member of the executive committee of the Ohio Academy of History, and is now Coordinator for the North American Chapter of the Orthodox Peace Fellowship. 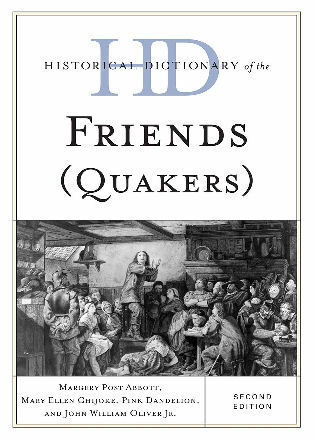 ...a handy paperback guide and supplement designed to further the understanding of all things Quaker. ...the scope of the work covering as it seems to do the full range of Quakerism's manifestation, is amazing....an excellent work. Offering a reference for Quakers and general readers interested in the faith, this reference focuses on the religion's history, scope, and modern diversity of theology and practice. A chronology, a historical introduction and a dictionary of Friends, this book is essential for both personal and meeting libraries. 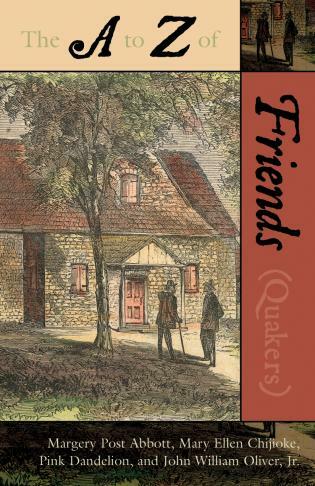 From 'abolition' to 'Zaru, Jean', 'conservative Friends' to the 'pastoral movement', 'Friends United Meeting' to 'tithes', this reference book illuminates both 'Friendly' terminology as well as a Quaker perspective on more general religious terms and concepts. Yet, while widely known and admired, they are too often known only superficially. 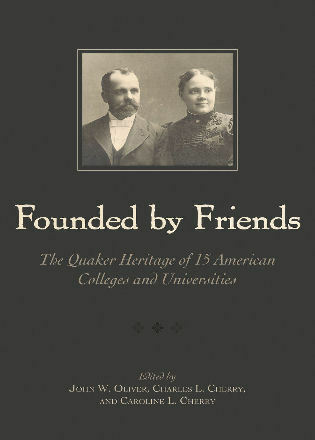 The A to Z Guide of the Friends (Quakers) clears up these superficialities by digging much deeper into the Society's past as well as present. In the guide's dictionary section, numerous cross-referenced entries describe the origins and history, the situation in many different countries, the basic concepts and practices, and the views on important contemporary issues. Others present the leading figures, from the founders, such as George Fox and Francis Howgill, on. The chronology shows the progression over time while the bibliography points the way to further reading. The book's four editors were aided by an Advisory Committee, while the contributions stem from over a hundred authors.